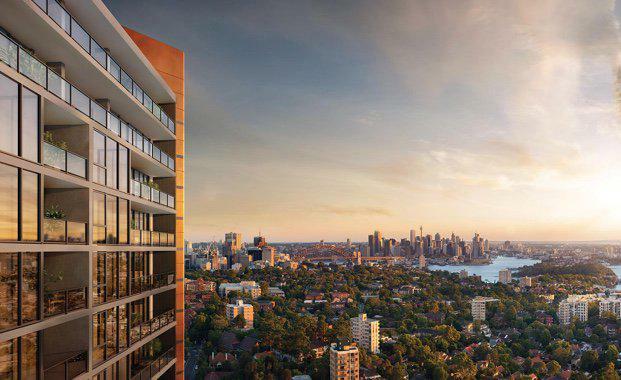 Mirvac has been asked to provide further information to the North Sydney Joint Regional Planning Panel following deferment of its development application for its St Leonards Square residential project. The North Sydney Joint Regional Planning Panel decision means approval will be deferred with a request for supplemental information believed to be regarding setbacks and their compliance with SEPP 65 regulations according to The Australian. Mirvac’s plans for the site will see the existing commercial buildings replaced by two triangular towers of 28 and 36 storeys that open up the ground plane and provide apartments featuring sweeping Sydney CBD, harbour and district views. The company purchased the site last year for $121 million from Leighton Properties. Mirvac was expected to launch the initial stage to the market shortly. The Lane Cove Mayor has said the council is keen to revitalise the area and build up apartment living. Mirvac has said they will work closely with council to provide the requested information to the JRPP. The company in its half-year results announced last month saw an increase in profit of 69 per cent to $472.7 million, and achieved a record $2.6 billion in residential pre-sales. Mirvac chief executive officer Susan Lloyd-Hurwitz has said that the group was focused on the Sydney and Melbourne housing markets, with a particular emphasis on mixed-use developments.